The Dojo Color Packs have been updated to V1.2 and are now faster and more optimized. 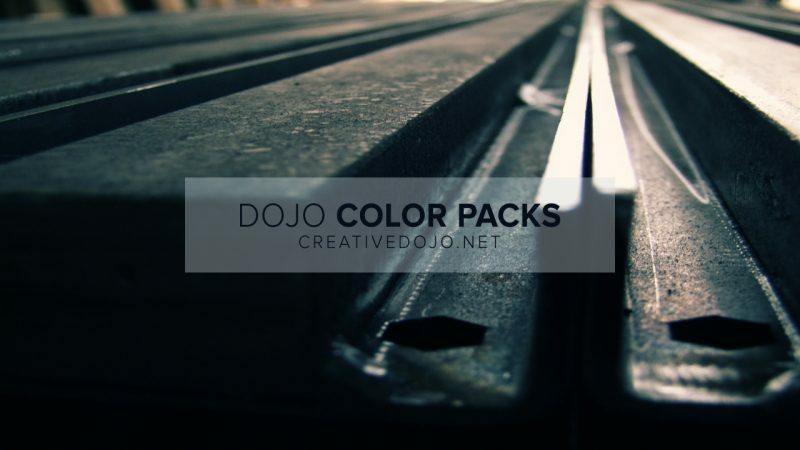 The Dojo Packs are a set of color grading presets for Adobe After Effects that allows you to quickly achieve a cinematic and stylistic look for your projects. Version 1.2 removes the pseudo effect structure of the preset to avoid any errors. It also removes the auto-grain feature to speed up application time. The default settings have been tweaked to give you a cleaner fresh start as well. Although these packs aren’t anything special, they are a nice set of presets to have in your arsenal just to quickly switch through different looks to brainstorm or to use as a starting place. If you have any questions or comments, feel free to post them down below! Ignore it, it should work regardless of the error message. Yes, it should still function normally! I still have CS4. Does your cinema pack work in CS4 or only CS5 and higher? Epic Cinema Dojo pack is awesome! Does it work on Adobe Premiere Pro? Thanks! Unfortunately it’s only compatible with After Effect. Are the links for Epic Cinema dead?..I am not able to download it can someone provide me the links? Updated the post, sorry about that!